Only weeks ago, VW CEO Martin Winterkorn must have been celebrating a new multi-year extension of his reign at one of the largest companies on earth. Just days ago, at the Frankfurt Motor Show, he confidently predicted that VW would secure the world automotive manufacturer number one spot. Today VW’s reputation is in tatters and he is gone. It is safe to say that when the German Chancellor takes time out from dealing with thousands of refugees beating down the door to admonish your company and launch an investigation how you cheated emissions regulations, your days at the top are at an end. Shooting for the automotive number one position seems to come with a curious Icarian curse. Ford suffered the Firestone /Explorer crisis, GM the faulty ignition switches, Toyota the floor mats sticking accelerators down and the Takata airbags and now VW. In fairness to VW no customer’s lives are at risk (unless they breath-in too many exhaust fumes). In fact it is almost unique amongst such automotive industry failures given that vehicle operators are not at any risk. The risk is all at the company end. As the scale of the deception continues to unfold the reputation of VW, to say nothing of the share price, will take hit after hit. A brand is a trust-mark and VW have shown they cannot be trusted. They have been devilishly clever, but they cannot be trusted. At least not the current management who must have/should have known about the highly sophisticated masking of emissions performance. A senior management, and probably a board level, blood-letting will ensue. 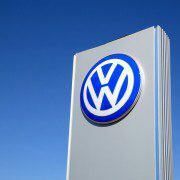 VW will, of course, survive but many more dark days are to come before one of the most recognisable brands in the world can regain the consumer and community trust it craves and needs. The composition of Prime Minister Turnbull’s refreshed and reinvigorated Ministry has been sliced and diced by pundits aplenty. The important thing for business is to understand who is responsible for what and the changes in responsibilities that have taken place. It is not a safe assumption that a new broom will sweep away any controversial or sticky items on the predecessor’s agenda or that the new Ministry will immediately change the agenda on operational matters. The business of government has a certain inertia and a change of administration, particularly one within the same party and one that has to rely on the loyalty of those who may not have supported the change, does not necessarily halt matters that are in-train. Where there has not been a change of Minister expect little immediate change. Where there has, expect that it will take some time before the new Minister’s influence, on anything other than matters that drive headline news, will become obvious. For all the media excitement at a new era, it is still a Coalition Government with a clear eye on the need to get re-elected, probably sooner rather than later. The motivation to avoid conflict and mistakes is high. Worth remembering if you need to engage with our new Federal executive level of Government. In his parting words as Prime Minster Tony Abbott bemoaned the febrile nature of the modern media and the culture of character assassination that he believed contributed to his downfall. Whilst he may be correct in that assessment he failed to acknowledge that he benefitted and exploited that media environment during his rise to the top. He can hardly have expected an immediate return to a more benign media climate once he attained the Prime Ministership. Much has been written and said about Abbott’s tactical and strategic mistakes but his parting comment perhaps points to the most basic of miscalculations. That it would be possible to put the Genie of old, new and social media back in the bottle. In the fractured modern news media all players are engaged in a constant battle for existence. 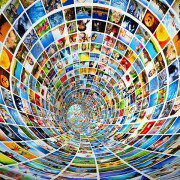 If they don’t lead with stories, have a particular spin for a target audience, or find some other way to garner a sustainable following, be they on-line, print, onscreen or on-air, they will perish. The barrier to entry is no longer the need to buy a printing press or a gain a broadcast licence. A laptop with WiFi will do the job. Therefore it is hardly surprising that there’s a feverish rush to get ‘news’, whatever the definition, out there. Then add unfiltered social media commentary into the mix, remembering that it requires no rules of attribution, accuracy, balance or even logic. The result is a boiling soup of sensational headlines, thirst for conflict, rush to publish and blurred lines between reporting and commentary mixed with personal abuse, ill-formed and often offensive views, instant experts and transient superficiality. That is the new normal of modern media. For politicians and business alike failing to recognise it and find a way to deal with it is a guarantee of trouble. Commenting on the Turnbull ascendancy Victoria Liberal Party President Michael Kroger claimed it was essentially about modern politicians needing to be good communicators. True enough but, in the media firmament outlined above, message delivery alone won’t do the job. The performance needs to be believable and engaging. Any marketer knows that if you can get the audience emotionally invested, so long as you then provide the basic framework of believable information, they will do the post-purchase rationalisation for you. When it comes to judging other people (which is essentially what modern politics has become) we all make the emotional part of that decision in seconds. So if the personality and performance do not connect we probably won’t even get to the message. Unlikeable politicians, no matter how logical and well meaning, just won’t cut it anymore. Sad but true, because there have been some great leaders in the past who were not really the kind of folk you would want to spend time with. American political commentator and former Clinton advisor Paul Begala famously said “Politics is showbiz for ugly people.” Well, not too ugly either. The media environment will not suddenly become kinder, gentler and more principled. Consequently if you are a modern politician who can’t put on a believable performance to deliver an acceptable message, you had better stay on the backbenches until your pension is due. Communication takes centre stage at last! 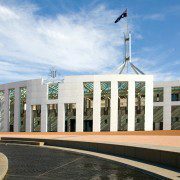 Australian politics delivered not only a new Prime Minister this week, but also a salient lesson in the value of communication. The new Prime Minister Malcolm Turnbull – Mr. Explainer, as some media commentators call him – has brought the art of leadership communication back to life. Three word slogans are no longer the answer. He has been able to resonate with the community because of his ability to put forward his perceptions, beliefs and expectations in compelling, engaging and understandable language. The former Prime Minister Tony Abbott and some of his Ministerial colleagues have struggled with this. It was reflected in the polls constantly and it provided Turnbull with the opportunity to say he was the ‘communicator’ who could turn things around, especially in our poll-driven political world. In today’s multi-channel media environment, it is what leaders are saying and doing that connects with the community more than at any other time. The corporate world is no different. Research shows that consumers regularly talk about the performance of the CEO in relation to his/her reputation and how they communicate. People judge companies on the information that flows from the top. What is communicated shapes their thinking and influences their decisions; whether it is buying company shares, buying products, or believing in a company’s future direction. Getting the leading message or narrative into the word-of-mouth conversation is paramount. It is worth more than advertising and networking meetings and discussions. However, leaders can never just rest on a narrative. It is the messages that build the narrative, which are important. How the narrative is expressed, how pertinent is it to stakeholders and how persuasive is the delivery are also key factors. They make up the ‘communication mix’. 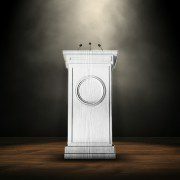 The salient lesson the new Prime Minister has delivered to all leaders is the role of communication in today’s world. There is no better time for CEOs and other top executives to consider their ability to communicate with their stakeholders and communication plans shape the messages and reputation of an organization. The new Prime Minister is now in his first 100 days in office. He will be judged not only by his expertise in the management of Australia’s political scene, its economy and social wellbeing, but also his ‘best practice’ in communicating his plans for the nation. We are re-entering the phase of communication in politics. https://www.rmka.com.au/wp-content/uploads/2015/09/Spotlit-Press-Podium2.jpg 486 900 Robert Masters https://www.rmka.com.au/wp-content/uploads/2015/08/logo-300x132.png Robert Masters2015-09-17 20:51:262015-09-18 12:45:02Communication takes centre stage at last!